Personal Training IS WHAT WE DO BEST! Our reputation for excellence comes from our passion for helping our clients achieve their personal bests. We are successful because we utilize efficient, intense and fun workouts. That’s what Personal Training in Toronto should be all about. We’ve built our methods using structured, applicable, detailed and customized strength training programs. Lifting weights is where it’s at and we teach you step by step on exactly how to do it properly to achieve the body you want. Whether you’re a novice looking to start training for the first time or an advanced trainee looking to hit personal benchmarks, we ensure that we’ll be able to help you meet your goals safely and effectively. We are obsessed about form, technique, range-of-motion, tempo, activation and structural balance. This is what’s going to allow you to train for a LONG time, stay healthy and not be limited by wear and tear. WHAT CAN HAPPEN IN 28 DAYS? An introduction in to the OBF training methods and nutritional philosophies. 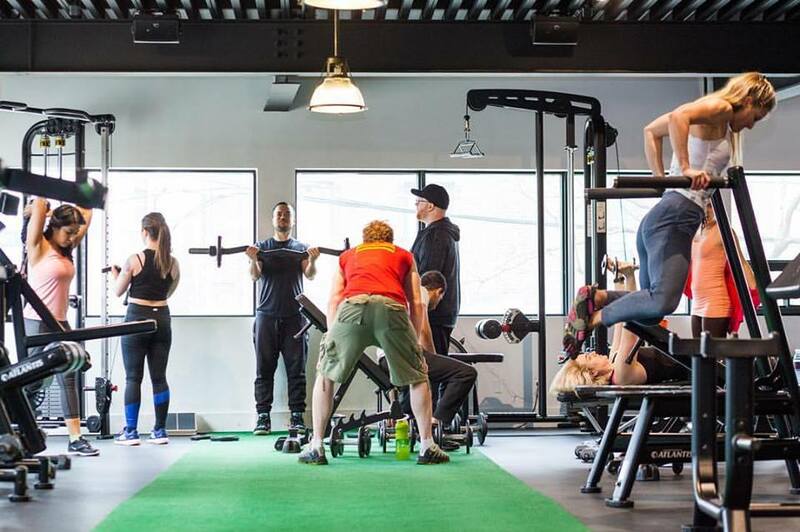 We will teach you the correct training and lifting technique, sustainable nutritional strategies and a fitness coach in toronto at our gym that’ll help hold you accountable day in and day out. This is our bread and butter. This program is set up to maximize fat loss while increasing lean muscle mass to jack up your metabolism. Endless hours of cardio will not help you achieve your desired goals and we definitely do not want to waste your time with it. We focus on weight training because we believe that it is the most effective way to help you achieve your goals. With weight training, we can help you build that strength necessary for you to have more energy in your life to do whatever you wish you do- whether that’s playing a sport you enjoy or simply having the ability to live your life to the fullest. The truth is, you need to lift weights to see the changes you want- to tighten and firm- up all the soft spots and create the curves and definition for your ideal body. Our personal trainer services in toronto sessions are designed to suit individual needs and our highly trained coaches will challenge you and keep you accountable to reach your goals and to exceed your expectations. We also craft an individualized nutritional guideline and our coaches will guide you throughout the process to make sure you are able to achieve the results you deserve! With the proper education, periodic body fat assessments, structural balance testing, we can accurately track your progress and make any necessary changes to your program in order to optimize your results. We also offer 1-on-1 personal training in toronto. These sessions are 100% personalized to meet your individual goals and needs. The time that you spend with your coach will be all about you! Our coaches will be able to provide you with extra focus and attention to suit your specific health and fitness needs.